Welcome to our TV Fashion column, where TV Ate My Wardrobe‘s Emma Fraser discusses the trends in television apparel. This week: Paris Geller is back in Gilmore Girls: A Year in the Life, and she is dressed like a boss. Many people are now opting to work over the Internet either as freelancers or attached to a particular kind of company that allows them to remain at home (or at any other location with an Internet connection, for that matter) and turn in work based on some schedule. Hands down one of the best things about the summer season has to be having countless opportunities to evening dresses up and show off your tan in a killer dress. From Christmas parties, to New Year’s Eve, to race day and music festivals, summer is famous for being the biggest party season of the year. A factor that boosts your style quotient and speaks volumes about your taste in style—a watch is more than just a timekeeper. Whether you team it with a casual ensemble or a formal attire, you set your own style statement by sporting a watch. More than being a necessity, watches are fashion accessories that flaunt your personality. Dress your little boy in this designer Indian kids wear for a trendy look for wedding functions. This smart and stylish baby boy wedding suits, Indian ethnic dresses and formal party wear outfits for 0-9 months old little boy are the best Indian wedding clothes. Beatrice Borromeo has a new milestone lined up as she prepares to welcome her first child with husband Pierre Casiraghi next year. For now, though, it seems the Italian heiress is reflecting on another special event — her wedding to Princess Caroline of Monaco's son last year. Felines are very fastidious, by nature, but at the same time they are lazy. Most of the time of the day is spend in sleeping by a kitty and this is why some physical activity is important for them. An hour of play can make up for the lack of exercises. Listed below are some of the benefits of playtime for the kitties. Nelsonians had a chance to see clothing from local designers on the catwalk as part of the region's first fashion weekend. 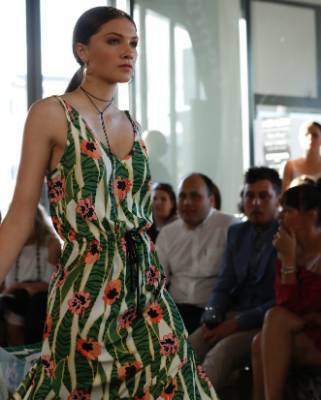 The High Low Fashion Weekend was organised by photographer Sarah Brennan, designer Brooke Strang and stylist Kelly Vercoe who wanted to bring a fashion show to Nelson. KAITLYN AND SHAWN'S WEDDING ON HOLD? Hollywood Take recently caught up with Kaitlyn and Shawn at Jeep’s “Moustache Mod Garage,” an event supporting the Movember Foundation. And the adorable Bachelorette couple made it clear they're not in a rush.